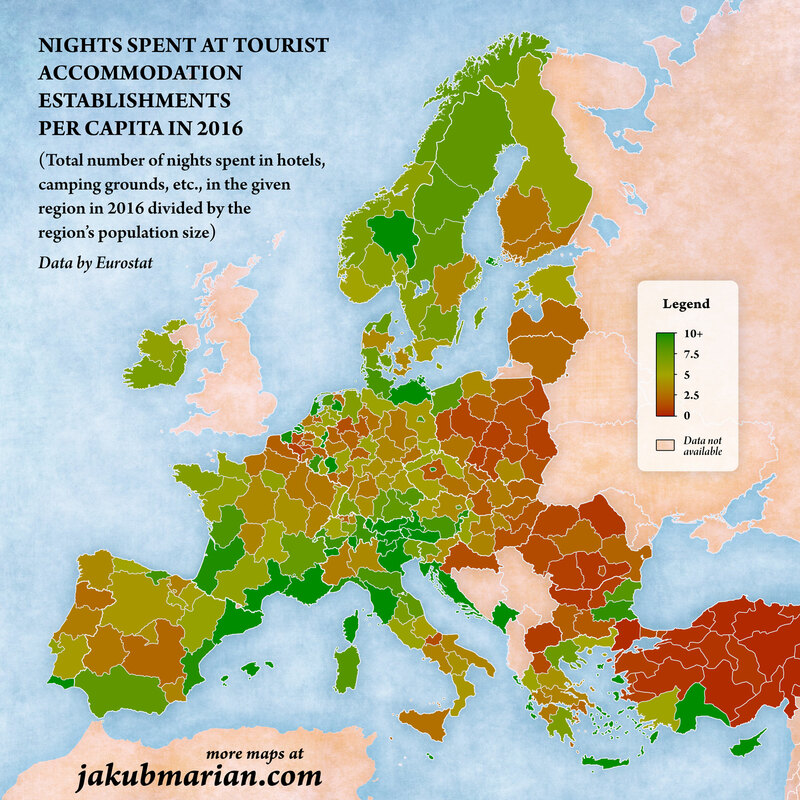 The map below shows the number of nights spent at tourist accommodation establishments (which includes hotels, holiday cottages, camping grounds, etc.) in a region divided by the number of people living in that region. In other words, it is a kind of tourists-to-residents ratio, including tourists from other parts of the same region. 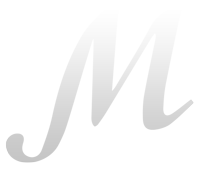 The map is based on data provided by Eurostat. There are no data for the UK, for some reason. They are closely followed by Tyrol, Austria (49.4); Canary Islands, Spain (48.1); Algarve, Portugal (47.4); Salzburg, Austria (41.5); and Crete, Greece (39.8).